MSME’s Roadmap to Industry 4.0 - CCR Technologies Pvt. Ltd.
Large manufacturing companies in India are IT enabled and well on track to adapting Industry 4.0 standards and becoming globally competitive to achieve growth and profitability. However, the MSMEs (Micro, Small & Medium Enterprises) where information flow is driven mainly by excel sheets, are lagging behind and struggling to catch up to the Industry 4.0 revolution’s band wagon. MSMEs typically collect data manually into Excel sheets forwarding them up the management chain of command through e-mails, SMS & WhatsApp messages for further manual compilation into desired reports for top management or to comply with their client’s or larger manufacturer’s requirements. This time and labour intensive process is embedded with errors and delays in the data collection process due to human limitations. Imagine a real-time dashboard portal for MSMEs where information about pending orders, inventory, production schedule, dispatch details is available in real-time at the management’s finger tips. This information further feeding into models and reports to provide analysis of production capacity usage, idle time, delays in production and delivery, alerts and notifications and much more. While this intuitive insight and knowledge is no news to the MSME, it remains on their wish list due to not knowing where to begin and the assumed cost. MSMEs will benefit from adapting early to business process automation, digitization and analytics which will provide insightful real-time information for effective decision making. Many MSMEs find their owners and top management focused on generating revenue to remain competitive and are already over-extended and multi-tasking their existing responsibilities. Understandably, changing the status quo can be a daunting task for the MSME management. Technology is often not a core competency and digitization can require a large investment of capital and resources. Not knowing where to begin can seem a major challenge. However, not doing anything can stifle growth and is not an option either. MSMEs in India are categorized by their size and structure of the units, variety of products and services, scale of production and application of technology. These enterprises support and compliment the large-scale industries as ancillary units. The large manufacturers to whom they supply products are preparing for Industry 4.0 compliance. MSMEs who are part of large manufacturer’s supply chain must conform to their client’s requirements and demands for information and now require their MSME suppliers to receive and provide data in electronically compatible format. For example, a simple digitization problem begins with the large manufacturer adopting a new part numbering system as part of the digitization process and the MSME must adapt by keeping track of the relationships of the client’s new part number series with their own internal part numbering systems. This alone can become a specialized task, especially if the MSME’s multiple clients each have their own part numbering system. Large Manufacturers expect on-time and error-free delivery of products and any delays in delivery can prompt the large manufacturers to develop other suppliers. It is indeed the need of the hour for MSMEs to adapt process automation with digitization & analytics to align with their major customer’s requirements. Industry 4.0 is a name for the current trend in manufacturing technologies. After mechanisation (Industry 1.0), mass production (Industry 2.0) and automation (Industry 3.0), Industry 4.0 is the current industrial transformation with automation, data exchanges, cyber-physical systems, cloud, robots, Big Data, AI, Internet of Things & semi-autonomous industrial techniques, to realize smart industry and manufacturing goals in the intersection of people, new technologies and innovation. Internet of Things and services is becoming an integral part of manufacturing. Industry 4.0 technologies have the potential to create extraordinary growth opportunities and competitive advantages across the world with digitisation & analytics as its initial steps. Experts forecast that businesses will be able to increase their productivity by almost 30 percent adapting Industry 4.0 standards. Many current technologies such as cloud and virtualization can provide transformational cost saving advantages to leap frog over traditional IT solutions. Hardware, storage and software have become much more accessible and affordable. However, technology is changing at a faster pace than ever before and “technology for the sake of technology” cannot be the right solution for any individual enterprise. The challenge is to determine the right technologies that will bring the most value to your business. The IT market is saturated with solutions from off-the-shelf turn-key products, such as HRMS and Salesforce. These can be expensive and often do not meet all the requirements of the organization. Enterprise systems such as SAP can be over-kill in their features with very high set up fees and configuration costs. Understandably, many MSMEs prefer to strategize a step-by-step approach to fit their budget, see the benefits from the results and allow their management, employees and customers to adapt and grow into the new technology. To custom-build systems in a modular building blocks approach to fit the business process, requires a knowledgeable and experienced IT staff which is a long term liability for the company. An experienced IT partner can bring knowledge and experience needed to guide MSMEs through its digital transformation and provide the viable roadmap needed to guide the desired pace of change within their budget. The IT services industry in India, credited with the Y2K revolution and software exports to 95 countries, has traditionally provided IT services to multi nationals and global IT consumers, launching them into the Industry 4.0 revolution. It is now time for India’s MSME consumers to participate in the digital revolution and take advantage of these IT services on their home turf and not be left behind. For these enterprises, where technology is not a core competency, outsourcing IT to a qualified and experienced IT services provider who can become their IT partner is a win-win solution. An experienced IT solutions partner can work closely with the MSME management to adopt a systematic approach and ensure that their vision is accurately captured. The IT partner can assist with problem identification and process definition, preparing the business requirements document (BRD), functional requirements document (FRD) and prototyping the User Interface. Agile development practise will offer the MSME continuous visibility into development and progress. A successful digitization of a manual process is an euphoric achievement for both, the MSME and the IT partner. CCR Technologies’ Financial Research team works in partnership with our financial clients to deliver timely and highest quality independent financial research on US and Indian markets. The IT team supports our internal and external clients with modelling and decision support web-platforms and dashboards. Data management is an essential and critical function that we undertake diligently. With a strong consultative and partnership approach, we have developed the ability and know-how to understand and interpret our client’s vision and deliver benefits from data driven processes and models to support business decisions. Our team of highly qualified professionals have significant experience in the fields of both IT Consulting and providing solutions giving our clients speed to market advantage. CCR Technologies offers custom solutions as well as off-the-shelf subscription based SaaS products to cater to our MSME client’s needs. Prabha Shankar is the Chief Marketing officer (CMO) at CCR Technologies focussed on Business development and Marketing. 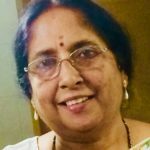 Prabha has built a career in Marketing over 30 years and has worked at leading companies, like Cummins, Valvoline, Total Anand Group, TI Group, Primal Group, and Deepak Nitrite. She has worked globally on assignments and has a cross-cultural understanding of business environment. She has also spent several years teaching at several business Institutes. Prabha graduated from BITS, Pilani with MMS Master’s degree in Management Studies, a 5-year Integrated Engineering and Marketing program.